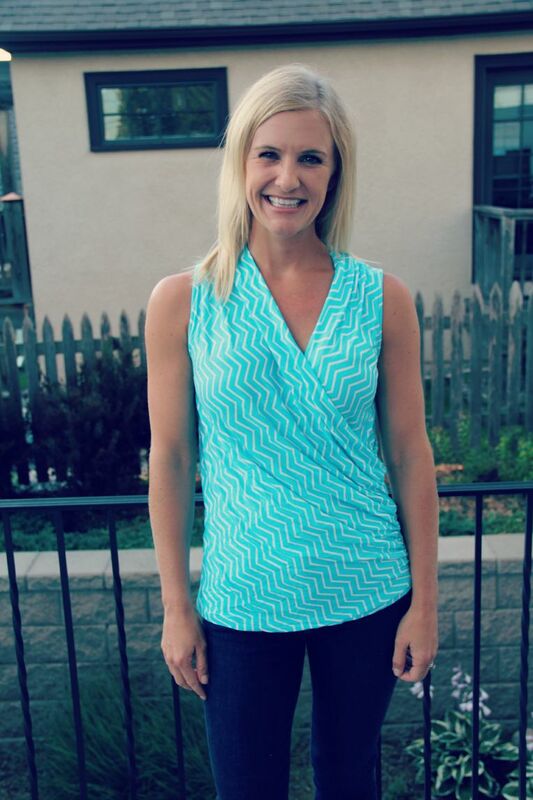 I’m taking a little detour today from running and fitness to bring you a quick review of my last Stitch Fix. I received this fix in mid-July, but hadn’t had a chance to post a review. 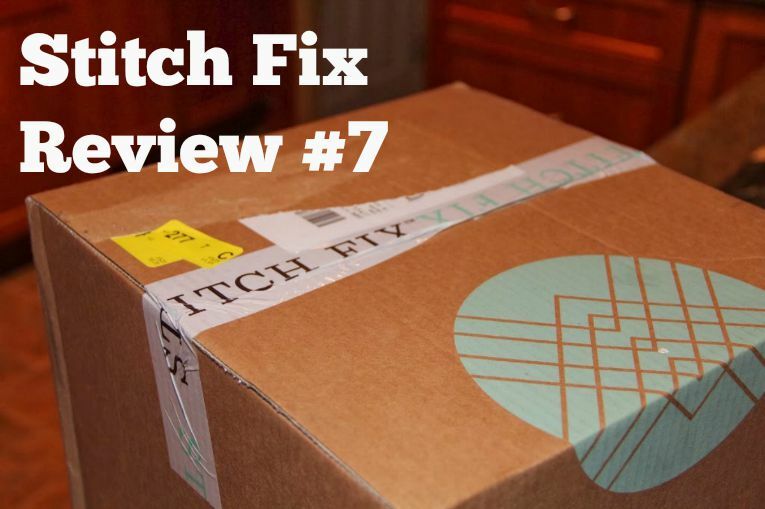 But Stitch Fix posts always seem to be popular…a lot of people Google them, so I might as well share mine! If you haven’t heard of Stitch Fix, you can get all the details HERE and if you want to try it out, feel free to use my referral code HERE. Basically, you take a style survey. Then you pay $25 to have a stylist pick out a customized “fix” of 5 items to try on. If you like any of the items, the $25 goes towards purchasing them. You don’t have to fight crowds at the mall and ideally, you are receiving items that look great on you. Unfortunately I didn’t receive much that looked great on me this time around. I have had much better luck in the past. This top was super soft and comfortable, but just not me. I’m not against cut-outs entirely, but I just didn’t like the cutouts on this one. These pants fit well. I liked the subtle pattern and they seemed as though they are both black AND navy, which is kinda fun. I can wear them to work with a variety of tops in my closet. I liked this blazer- a lot actually. 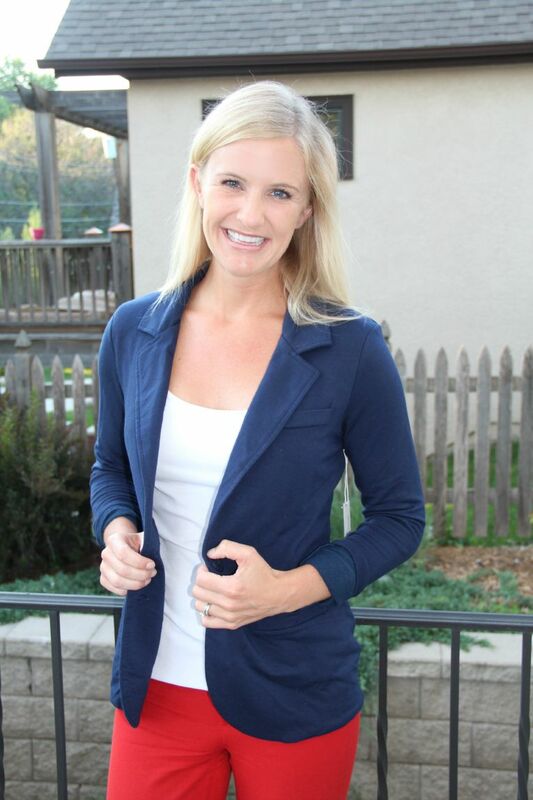 In fact, I basically received the SAME blazer in my last Stitch Fix, and I bought it then! That makes me think that they don’t really look back to see what I received in the past because the two blazers are VERY similar and I don’t need two that are virtually the same. I was happy that I kept one item (the pants) but overall wasn’t that happy with this fix. 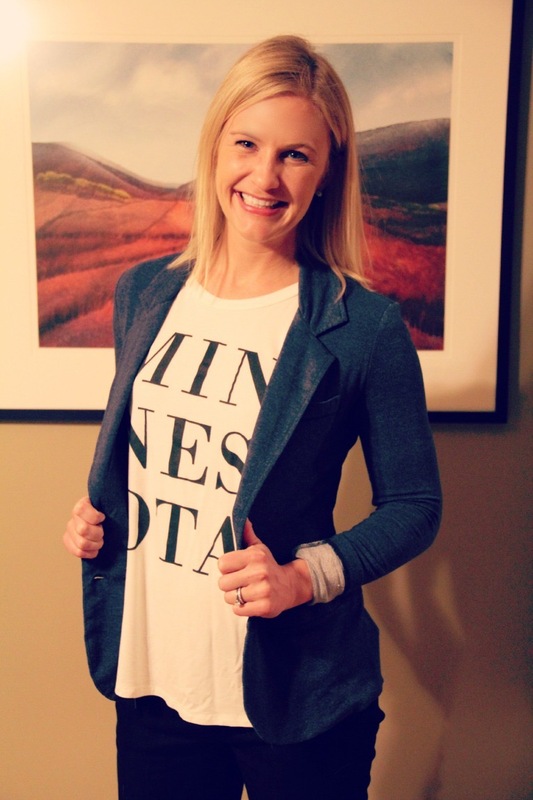 Instead of trying again with Stitch Fix, I recently tried out Le Tote. Have you heard of Le Tote? It’s a little different in that you are renting the clothes. 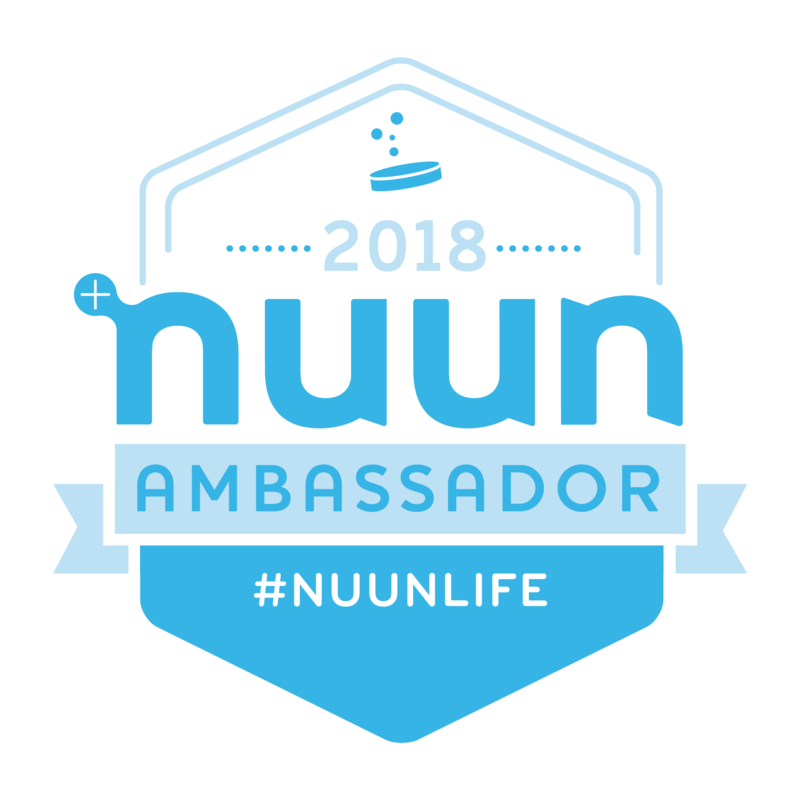 Tomorrow, we’ll be back to running and fitness, I promise! I wasn’t sure about the pants- they are a little “booty” but I have paired them with a longer top and felt okay. Yeah, I was surprised about the blazer! I would think the stylist would look to see what type of stuff I have purchased in the past to make sure its not nearly identical!